RBD (Mexico) see: Samples etc. All other titles: band's own M400? 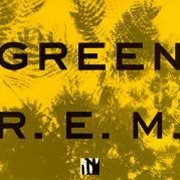 REM are one of those bands whose career can be quite neatly split into two (see; Roxy Music, Genesis); up to Green and after. I've known several people who have made the break at the same point, so I'm quite willing to bow to their superior knowledge. Green, despite its more commercial leanings, is a reasonably good 'college rock' album, still featuring Peter Buck's jangly guitar work, and with material of the quality of Orange Crush and World Leader Pretend, it could have heralded a more successful era for the band without any major loss of quality, but sadly, it wasn't to be. Someone (Mike Mills?) plays Mellotron on The Wrong Child and I Remember California, but as with most of their future 'Tron work, all you can hear on both tracks is a rather feeble string line that adds little to the proceedings. 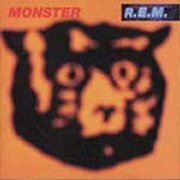 Monster only has one relevant track, the single Strange Currencies, with a high, quavery string line in the chorus. It's not even one of the most appealing songs on the album, to be honest, and the 'Tron sounds ill; a long way from the lush, deeper sound that it does best. New Adventures in Hi-Fi is more of the same, to my ears; commercialised college rock with a triple emotion bypass, while pretending to be deep and meaningful. The soul left this band a long time ago... 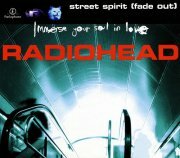 Mind you, a few tracks, including The Wake-Up Bomb and Departure inject a little guts into the album, but sadly, the effect doesn't last. For some odd reason, REM seemed to have elected to release most of their Mellotron tracks as singles, so both E-Bow The Letter and Bittersweet Me were hits, in the UK at least. E-Bow (so how come they named the track after the 'infinite sustain' device used on the guitar part?) has some more high-pitched, 'stabby' strings, and Bittersweet Me has the tiniest bit of flutes. 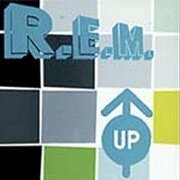 Up is a slightly better album, to my ears, though I'm hard-pushed to say exactly why; maybe the songs are a little less anodyne and radio-friendly. Not sure. Anyway, At My Most Beautiful has a slight Beach Boys feel, which is never a bad thing, Parakeet is a genuinely good song, and overall the band sound slightly less, well, smug, maybe. 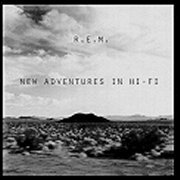 The only obvious difference is this was the first REM album after the shock departure of drummer Bill Berry, and it may have been the period where vocalist Michael Stipe came out officially, so maybe they reassessed themselves a little in the interim. Who knows, maybe they realised how far they'd fallen artistically. Anyway, You're In The Air has a little 'Tron flute, mainly on the chorus, along with the real string section used on a few tracks, and the single (again), Daysleeper has a nice little flute run right at the end, but it's hard to tell whether it's anywhere else in the song. Now, I remember catching a 'Top of the Pops' appearance by the band around this time, with guitarist Peter Buck 'playing' a Mellotron string line in the chorus on a generic synth, complete with pitchbend, but I can't hear it on Up, so maybe they released a non-album single? I'll report back if I find out any more. So; if you like later REM, you've probably got these anyway; they're hardly obscure now, are they? For the rest of you, don't go out of your way; the songs aren't exactly essential and the 'Tron use is fairly minimal. Incidentally, after a twelve-year (count 'em) break, REM dug out their old M400 again for their Christmas 2010 download-only take on Darlene Love's Christmas (Baby Please Come Home), sung by Mills, Bill Berry back on the drum stool, the ensemble fleshed out by Minus 5's Scott McCaughey, who plays the Mellotron strings solo. The virtual B-side, IHT>U>EDIYTW (Dubmix), is apparently an instrumental mix of three tracks from their forthcoming album. But will there be any Mellotron on it? Eh? See: Surprise Your Pig: A Tribute to R.E.M. RPWL (Germany) see: Samples etc. 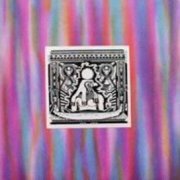 To my (limited) knowledge, Ra Can Row were a one-off early '80s US psych outfit, whose sole, eponymous album consists principally of four lengthy tracks of jammed-out guitar weirdness. Tunes? Don't be silly, this is psychedelia, man! It's actually not bad at what it does, which is an updated-to-their-era version of that US late '60s jamming style, for better or worse. Paul Haneberg's Mellotron makes its only appearance around eight minutes into opener Things Beyond Our Control, with some drifting string chords that are good to hear, but don't enhance the weirdness that much, to be honest. I'm sure Ra Can Row was hideously limited even on its original release, so I wish you luck in finding a vinyl copy now. Luckily, it can also be found on download blogs, at least as of the time of writing, should you feel the need to hear it. Ra Ra Riot (US) see: Samples etc. 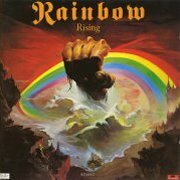 Ra Rising (UK) see: Samples etc. American ex-pat John "Rabbit" Bundrick is best-known as Sideman To The Stars, having played with Free and their offshoots, Bob Marley, Sandy Denny, Duncan Browne and a cast of thousands, not to mention membership of The Who for almost thirty years at the time of writing, and has played on well over a hundred albums in his 35-year career. However, as he tacitly admits on his website, he's spent so much time playing with other people that his own work is largely unknown to the general public, despite his having released several solo albums over the years. 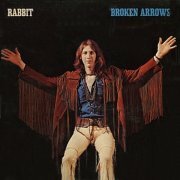 The first of these was 1973's Broken Arrows (a nod to Buffalo Springfield there? ), a surprisingly short album featuring loads of Island label luminaries, not least Simon Kirke and Tetsu Yamauchi from Free, Rebop and Jim Capaldi from Traffic and Snuffy Walden from the underrated Stray Dog. To be perfectly honest, it's not the sort of album that's going to make your heart sing unless you're an aficionado of early-'70s soul/blues/etc.-influenced 'middle ground' rock, or a monster fan of Traffic, as it has quite a bit in common with their rather British laid-back take on various American styles, which is ironic, considering Rabbit's nationality. It has its moments, not least Walden's guitar work on a couple of tracks, but I'm afraid it's all a bit unexciting, 35 years on. Rabbit added Mellotron to several other artists' albums in the 1971-3 period, not least Donovan's Cosmic Wheels, no it's no great surprise to hear a little on his own album. Ergot features some slightly MOR-ish strings work, morphing into a rather Moodies-esque feel towards the end of the track, with possible choir swells, although they're more likely to be real voices. Anyway, this is finally available on CD, as a 2-no-1 with his follow-up, '74's Dark Saloon, should you wish to hear it. Somebody informed me that there's more 'Tron tracks on the CD, but unless there's a version of the album with bonus tracks, this seems unlikely, unless he added some to its successor. 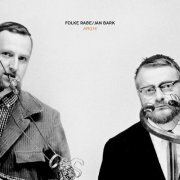 Folke Rabe (1935-2017) and Jan Bark (1934-2012) were Swedish composers and jazz trombonists, whose 2006 release, ARGH!, recorded at various locations in America and Sweden between 1965 and 1982, is more musique concrete than anything approximating anything that most of us would understand as 'music'. Do I have a problem with this? Short answer: no. Long answer: no, but an hour of ambient and found sound can be fairly hard going if you're not in the right headspace. Is there (could there be?) a 'best track'? Possibly the opening title track, a tape collage produced at the San Francisco Tape Music Center in 1966, consisting of snatches of US street sounds, radio (including a good chunk of Petula Clark's Downtown) and other snapshot impressions of America. Ach Chamberlin is another tape collage from San Francisco, consisting of... You guessed it: someone messing about on a twin-manual Chamberlin (a 600?) for six minutes, the end result featuring mangled brass, pitchbent male voices, acoustic guitar, distorted rhythm tapes and various other things the machine was never designed to do. Listenable? A matter of taste. Interesting? Subversive? Seriously left-field? Yes. Worth hearing for the Chamby use? One for fans only. Hugo Race & True Spirit (Australia) see: Samples etc. Racoon (Netherlands) see: Samples etc. Sam Rader (US) see: Samples etc. Radiant (US) see: Samples etc. Radiators From Space (Ireland) see: Samples etc. Joshua Radin (US) see: Samples etc. Radio Berlin (Canada) see: Samples etc. Radio Knives (US) see: Samples etc. 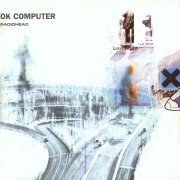 Y'know, for all the "This Radiohead track's got Mellotron on it!" 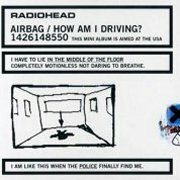 e-mails I've had over the years, all have proven to be false alarms, leaving their actual two non-OK Computer Mellotronic releases as my own discoveries. Surprisingly, the first turns out to be two The Bends b-sides, Talk Show Host and Molasses, found on various versions of the Street Spirit (Fade Out) EP, both being fairly typical non-album tracks from the era, both with brief yet inventive use of Mellotron strings from Jonny Greenwood, though not really worth tracking down for that alone. 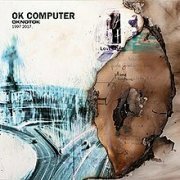 The album's twentieth anniversary brought a two-disc version entitled OK Computer OKNOTOK 1997 2017, the original album now subtitled OK and the bonus disc NOTOK, it seems. Are the extra tracks worth it? Yes, generally speaking, highlights including I Promise, one of three previously-unreleased pieces, Polyethylene (Parts 1 & 2) and Pearly*. More Mellotron? Of course. Strings on I Promise and Polyethylene (Parts 1 & 2), the latter now finally easily available. So, if you like rather gloomy, understated music with a progressive bent, not to mention quite a bit of Mellotron, buy. I was given my copy of the album by a friend who hated it, but I know other people who worship the ground they walk on. You decide. 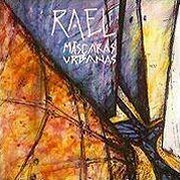 The cheekily-named Rael do, indeed, sound a lot like Genesis; in fact, their sole (released) album, Mascaras Urbanas, sounds quite specifically like The Lamb in places. Ignacio Rodriguez' almost accentless Gabriel-alike vocals, Marcos Ribas' Rutherfordesque bass and pedals, (presumably) Mario Perkins' Hackett-clone guitar work... Even specific songs can be traced back to that estimable album, with Vientos Del Este having a lot in common with Broadway Melody Of 1974, although La Tierra Del Pecado spoils the effect by suddenly going all ...And Then There Were Three... on us. Prog sites go on about 'Genesis clones' a fair bit, often referring to bands who are only tangentially influenced by them, but Rael cut them really close in places; Momo rips Dancing With The Moonlit Knight quite outrageously, particularly the fast middle section. Funnily enough, unless you've got a real (rael?) hang-up about it, it shouldn't especially adversely affect your enjoyment of this album, as the material actually stands up quite well. Three of the band play keyboards, but the Mellotron on a couple of tracks is played by the main keys player, Horacio Pozzo. Now, this has been mouldering away in Samples for some years, only for Ignacio to write to me to tell me they actually owned a Mellotron (and 'still have the tapes', oddly). Was this the first one in South America? Loads of Argentinian '70s bands have claimed they've used a Mellotron, and clearly haven't and I assumed this was another one, but not so. Anyway, we get choirs on Vientos Del Este and strings on Icarus, although most of the rest of the album's keys are quite clearly digital, particularly the nasty 'chiff' sounds used on Peregrinos Del Tiempo and Escapando De Mi Imaginacion. Raf (Italy) see: Samples etc. Jody Raffoul (Canada) see: Samples etc. 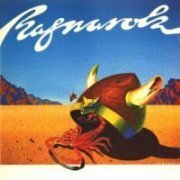 Like most NZ bands of their era (with the honourable exception of the wonderful Split Enz), Ragnarok sounded several years out of date, sounding closer to the 'proto-prog' of Spring, Beggars Opera, etc. This isn't to denigrate them, just to point out that the old adage about NZ, 'put your clocks twelve hours forward and ten years back' isn't entirely unfounded. I'm told that, like most of their compatriots, Ragnarok played the Kiwi pub circuit, which had little in common with its UK equivalent. Apparently NZ 'pubs', especially in rural areas, were huge barns holding up to 2000 people, with fantastically unforgiving crowds. As a result, most of the bands on the circuit played boogie or hard rock, making me wonder how any progressive bands ever made it out of their basements/garages. Ragnarok, despite sounding rather dated for '75, is actually pretty good, although the vocals get a little shrieky at times, with tracks like Fenris and Fire In The Sky laying out the band's manifesto. André Jayet only appeared to own two keyboards at the time; a Moog and an M400, rather than the more common organ, and as full-time keys man, used his 'Tron everywhere, with strings practically across the board here, although he uses flutes on one track. By the following year's Nooks, the band had honed their writing skills, with songs like Five New Years and The Volsung being definite improvements on their previous work. Jayet had a wider range of 'boards this time round, though I don't know if owned them or just hired them for recording, though it has to be said that he still stuck mainly to Moog and 'Tron. Still mostly strings on the 'Tron front, but some choirs creep in around the last couple of tracks, particularly on Nooks itself. 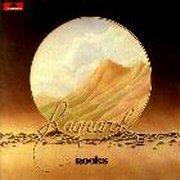 So, while not the most original progressive band ever, Ragnarok made a nice enough noise, and were obviously serious Mellotron fans. Even after a trip to NZ (not for this purpose, you understand), I could only find a rather battered copy of Nooks, which set me back $50NZ, or about 18 quid. Ouch. These may be out on CD somewhere (they were on NZ Polydor originally), but I rather doubt it. Still, if you get a chance to hear them without spending a fortune, do. Anyway; the music. It's all instrumental, rather lightweight symphonic stuff crossed with typical German electronic music. 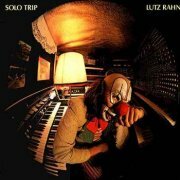 The only instruments are Rahn's keyboards and drum machine, with some real drums played by Helge Tillmann thrown in for good measure. Rather like Rahn's parent band, it's pleasant enough but a little unengaging, drifting along for a while without ever doing anything particularly startling. It's actually more progressive than it's got any real right to be; it was around this time that Novalis started moving away from their roots and, like so many of their contemporaries, moved towards shorter song-based material. As far as the Mellotron's concerned, Galaxy Taxi's a good piece of music with some nice 'Tron flutes, and there's a nice choir part on September. There's some more choirs on side two, but nothing outstanding, to be honest. Buy? Yes for Novalis fans, or fans of that peculiarly German style of '70s prog; no for the 'Tron enthusiast. Rainbow were, of course, Ritchie Blackmore's immediate post-Purple project, initiated as soon as he left in 1975. The original lineup was basically US band Elf minus their hapless guitarist; Ritchie's not known for his willingness to share six-string duties. 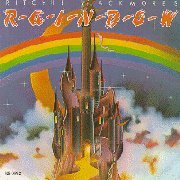 I've always personally found Ritchie Blackmore's Rainbow to be something of a disappointment; rushed, badly produced, and with a dearth of genuinely world-class material. Man On The Silver Mountain, Sixteenth Century Greensleeves and their cover of the Yardbirds' Still I'm Sad were all greatly improved in live performance. Elf's keyboard player Mickey Lee Soule played a Mellotron (amusingly credited as a Mellotrom on the sleeve) on a couple of tracks, including the live tour de force Catch The Rainbow, although the studio version, again, sounds only half-formed. "[We] mixed in some Mellotron to even out the orchestra not sounding cohesive or in tune". In tune??! That has to be the first time I've ever heard of a Mellotron being used to improve the tuning! Well, there it is, in black and white. Has he any idea what he's talking about? Who knows? Listening to the track again, certain parts are clearly real strings, others could be either, or (more likely) both. Of course, it could also be Carey's Vako Orchestron, but Ritchie seems quite certain in the interview. 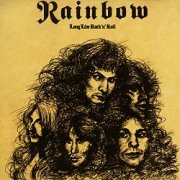 After a stunning live LP, On Stage (*****), Rainbow's third studio effort, Long Live Rock'n'Roll was a minor disappointment, but is still well worth a listen today. I've recently had it confirmed that new keyboard player (third in three albums...) David Stone, ex-Symphonic Slam, actually used Mellotron on stage with the band and you can hear it on a couple of tracks on the album, both of which feature some rather weedy-sounding choir, without the 'edge' that the Mellotron gives, so I'm still not sure. Gates Of Babylon is a real classic, though; MiniMoog and Taurus pedal intro in an Eastern stylee, leading into what is basically a follow-up to Stargazer, albeit with less energy. Real strings abound, from the Bavarian String Ensemble, no less and the album's almost worth purchasing for this track alone. Its other classic (apart from the steamrollering title track) is closer Rainbow Eyes, which is one of those cod-medieval ballads Blackmore seems to do so well. Mind you, don't go out of your way to encounter his current project, Blackmore's Night; very silly. 'Please come to concerts dressed in medieval garb' indeed... Would you like a medieval smell, too? Anyway, Dio left next, to be replaced by ex-Marbles singer Graham 'flasher' Bonnet, and although Down to Earth sported a couple of decent tracks, it was down the slippery slope to hit singlesville from then on. So; neither of these are Mellotron classics, although all are worth hearing, at least in places. Buy according to taste. 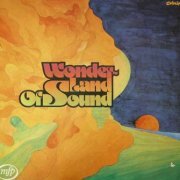 Rainbow Orchestra's Wonderland of Sound was released on Music for Pleasure, which might tell you something about it in advance. 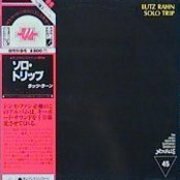 Yup, it's a cheeso, easy listening effort, albeit one with a heavy jazz influence, vastly better than most of the dross in this category. That isn't to say we're looking at a lost classic here, at least in my book, but Peter Jacques sports some serious Rhodes chops, while Pierre Cavalli's outrageous fuzz guitar solo on La Avispa has to be heard to be believed. Spot the amusing classical rips on closer At Festival Hall, too. Jacques also plays pleasant Mellotron string parts on all highlighted tracks, particularly upfront on Skippin' Around, while Smarty adds a cool chordal cello part, although I think the flute chords on Seven Days Later are an overdubbed real one. Why a Mellotron? My guess is that they used up their limited budget on the brass and woodwind sections and had none left over for strings, in the way of various budget projects over the years, These days, it's all programmed, of course and all the worse for it. You may find this in a charity shop near you, or you may not, but it's unusual enough to've found its way onto various download sites. Almost worth it for the Mellotron use alone. 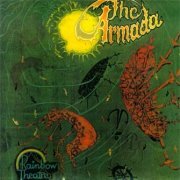 Rainbow Theatre were a seriously obscure Australian progressive band, whose albums have never been (officially) released on CD, and are almost impossible to find on vinyl. I know very little about them, only that their keyboard player/mainman was one Julian Browning, and they are one of the few prog bands ever to have made decent use of a brass section. Their style was, er, difficult to describe, actually. It's almost a Broadway show/opera/prog crossover, but that (at least to my ears) suggests something fairly appalling, and these albums are anything but. The vocals are amusingly mannered, sung in an exaggeratedly English accent, and there's definitely bits of Genesis and Crimson in there somewhere, but they pretty much had a sound of their own; a rarity in any genre, after its 'first wave' of bands. The Armada opens with solo brass section on the Flourish section of The Darkness Motive, but waits until part 3, First Theme before Browning's Mellotron strings come in. The Mellotron use here is excellent, right up in the front of the mix, and it really enhances the overall feel of the album. I'm reviewing these from tape copies, so some of the tracks may not be 100% accurate, but I think I've got them right. The Armada on side two is even further over the top and operatic, with the Bolero section sounding eerily similar to King Crimson's track of the same name on Lizard. 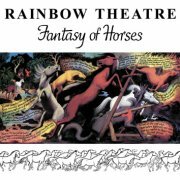 Their second and final album, Fantasy of Horses is probably an improvement on their debut, with the same mix of influences and similarly OTT vocals. I believe the band was a 14-piece by this time, with both brass and string sections, but without the vocal section used on The Armada. Side 2's title track is the one where I'm least sure I've got the tracks right on the Mellotron front; suffice to say, there's a lengthy 'Tron-free section in the middle, but the piece closes with more of those strings. The far-Eastern Poorhouse label has 'reissued' both of these on CD, but they're apparently dubbed from vinyl and are almost certainly bootlegs, with none of the profits going to the band. Nonetheless, they're both well worth hearing, so let's hope they're given an official release at some point. Good music, great 'Tron. Beg, steal or borrow (or tape).